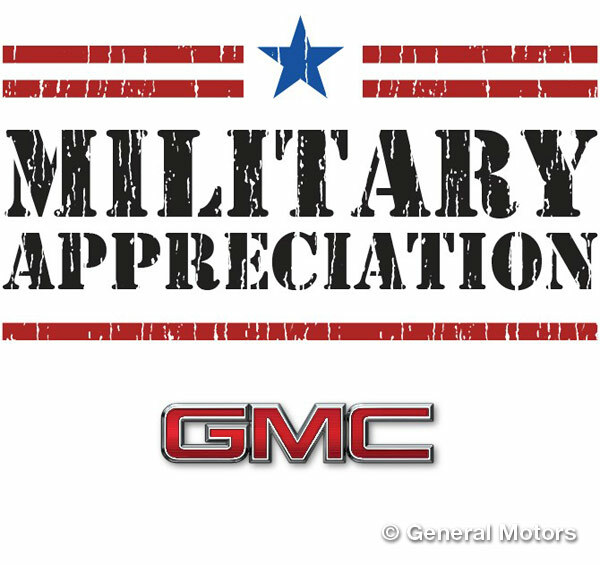 In honor of Military Appreciation Month (May), a GMC military discount will be extended from now until June 30. As a part of the GMC military discount, active and retired members of the U.S. military—Air Force, Army, Coast Guard, Marines, National Guard, and Navy—and their spouses will receive special discounts on all new 2014 and 2015 GMC vehicles. In total, the pricing will be offered to 21 million of our nation’s heroes. And the best part? The discount can be combined with most of GMC’s current incentives for additional savings. On top of that, USAA members can get an additional $750 discount. GMC reports that, with the special GMC military discount, all active, reserve, and veteran military members could get a 2014 GMC Sierra 1500 double cab V8 with the SLE Value Package for nearly $9,000 less than the suggested retail price. Not bad a bad price cut, eh? Not sure which GMC model to get your hands on? Do some research with our 2014 GMC model overviews.